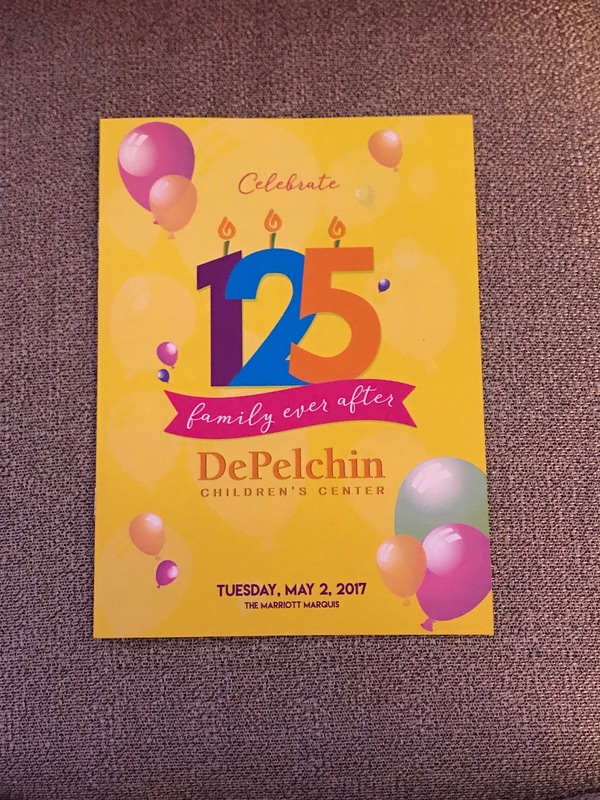 HAPPY 125TH BIRTHDAY DEPELCHIN CHILDREN’S CENTER! 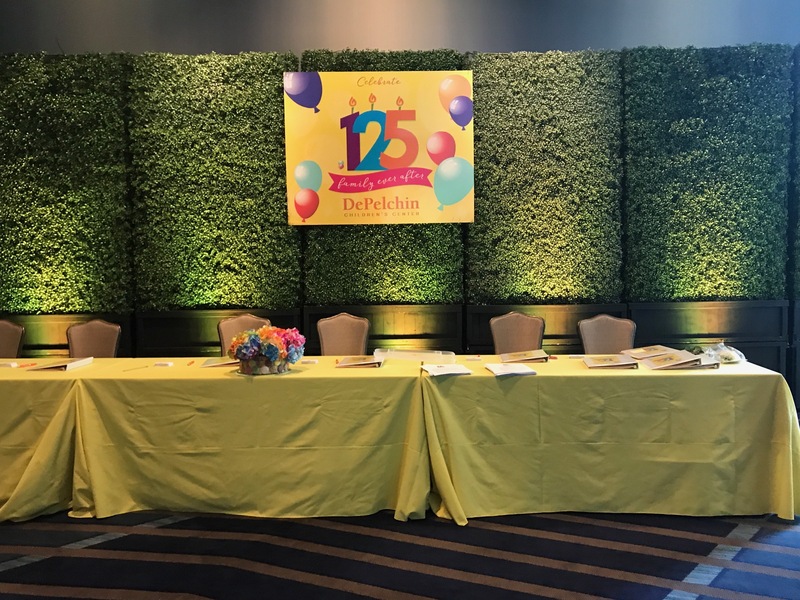 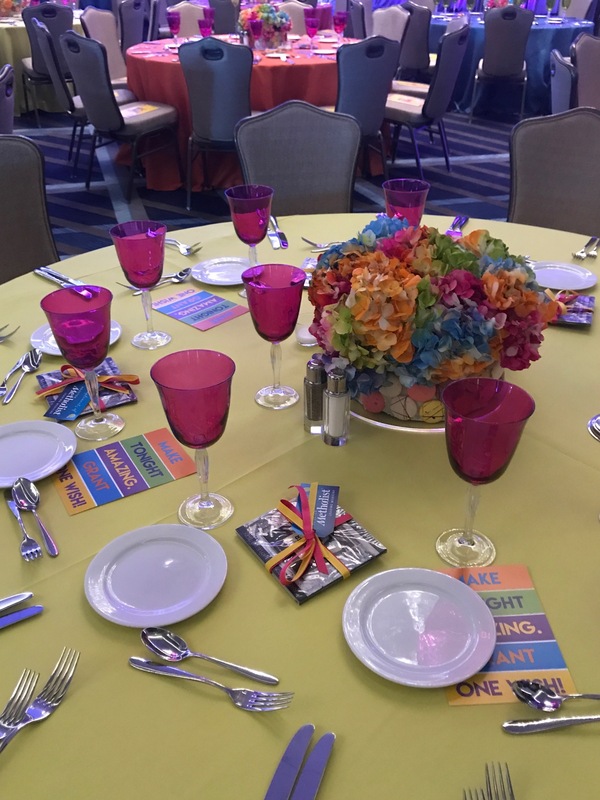 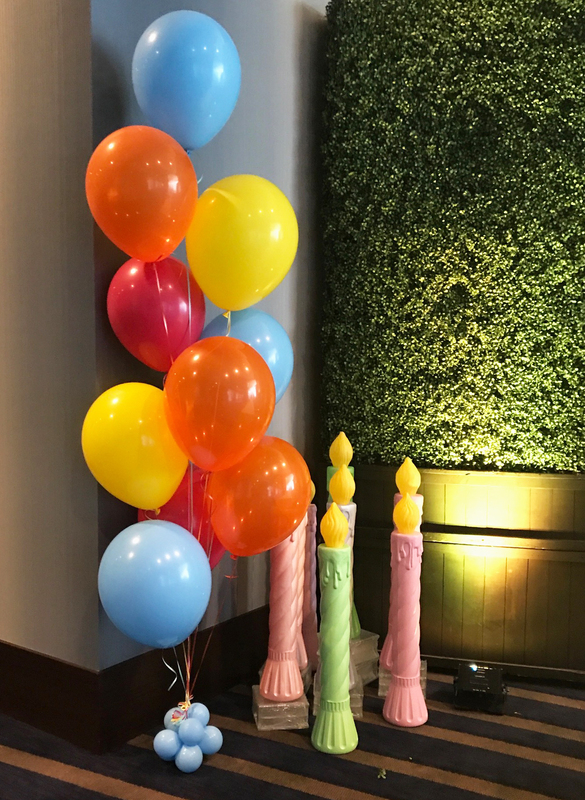 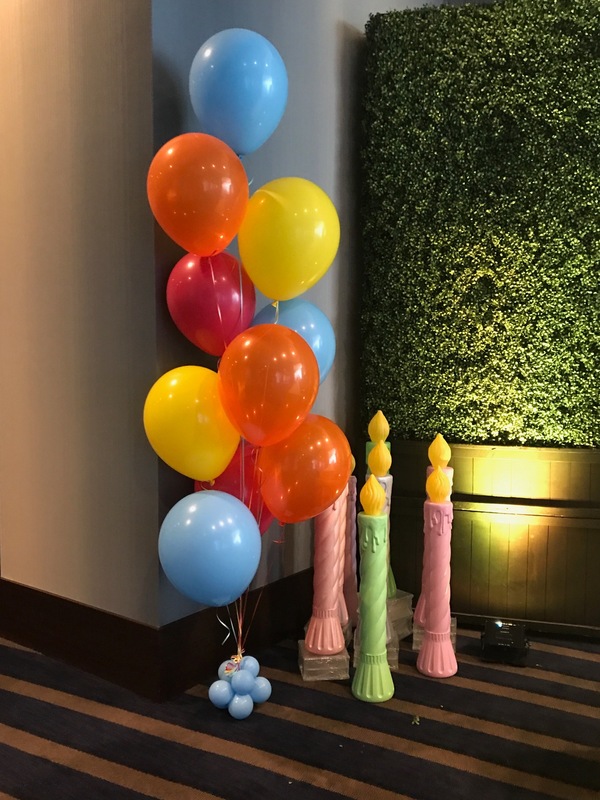 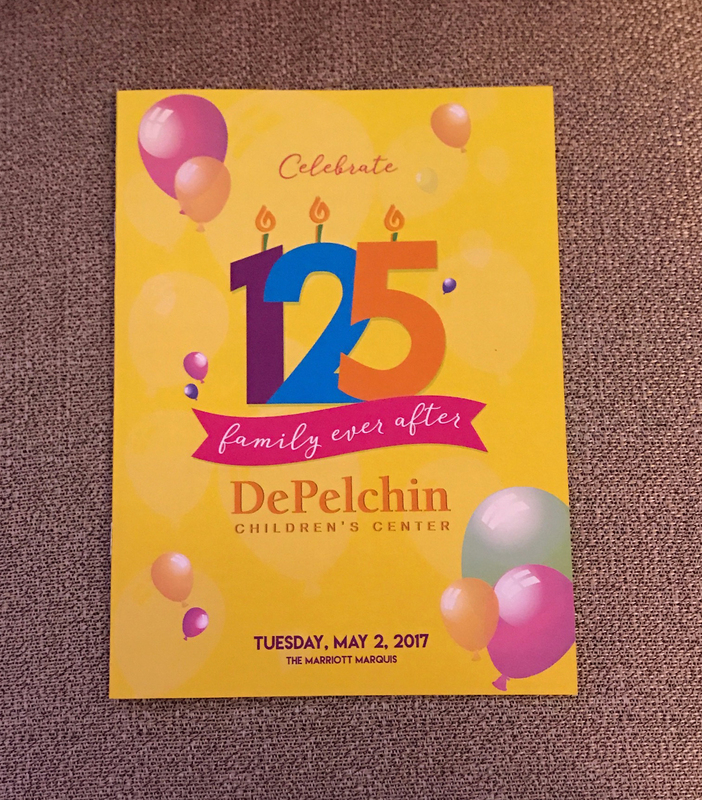 On May 2, 2017 DePelchin celebrated 125 years to the day of DePelchin Children’s Center, and Swift + Company handled all the décor, linens, glassware, custom table numbers and flowers for this history making event. 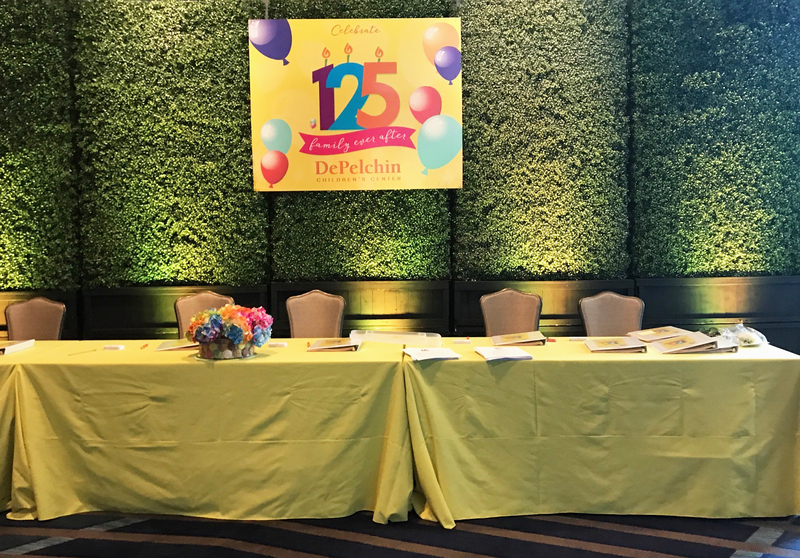 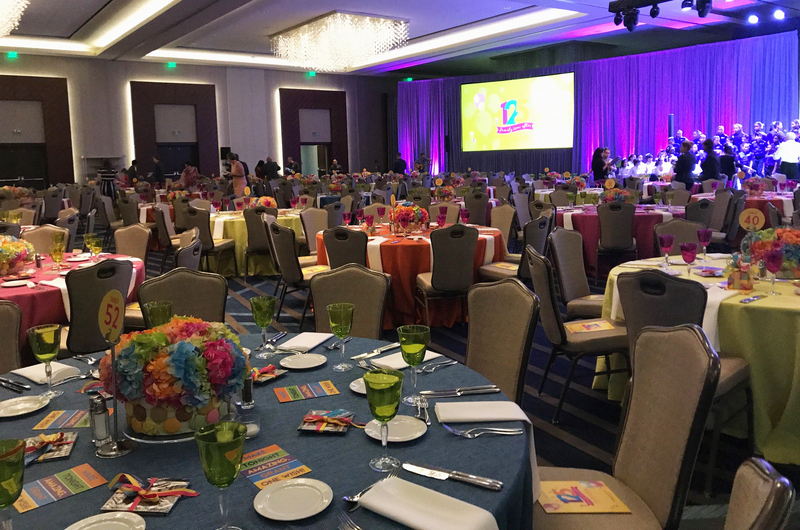 The event took place at 6:30 pm at the Marriott Marquis in celebration of thousands of children and families who have been impacted by Kezia DePelchin’s legacy, founder of DePelchin Children’s Center. 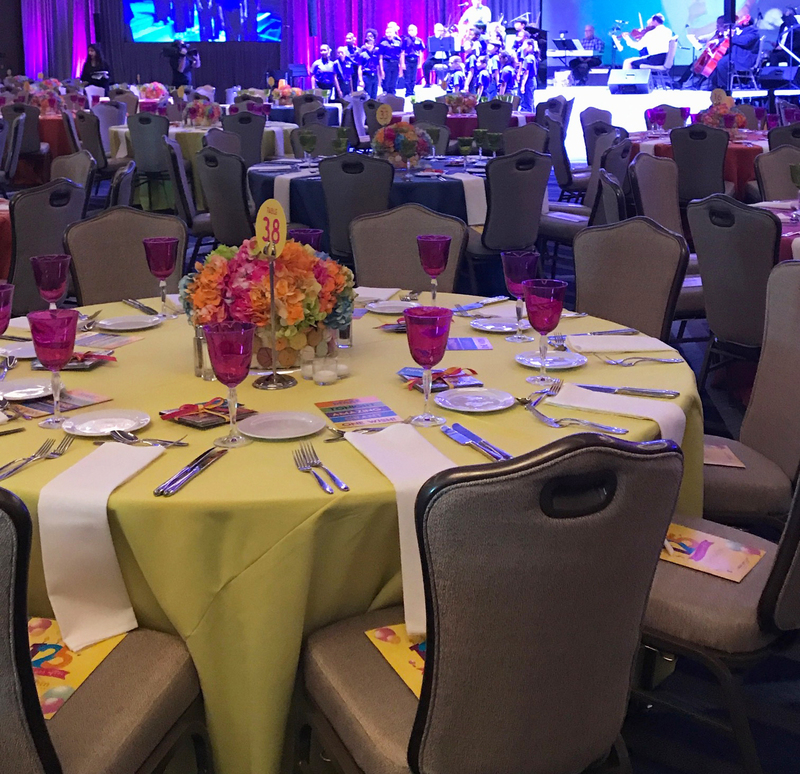 Around 600 guests dined and enjoyed the evening in a ballroom filled with bright hues of colors in celebration of the milestone. 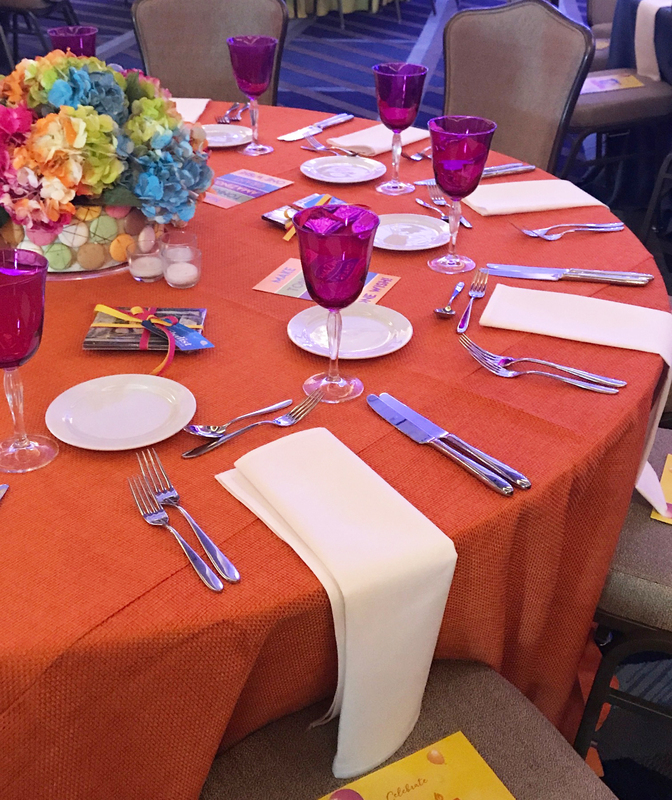 Lemon yellow, cobalt blue, tulip pink and tangerine orange linens adorned the tables. 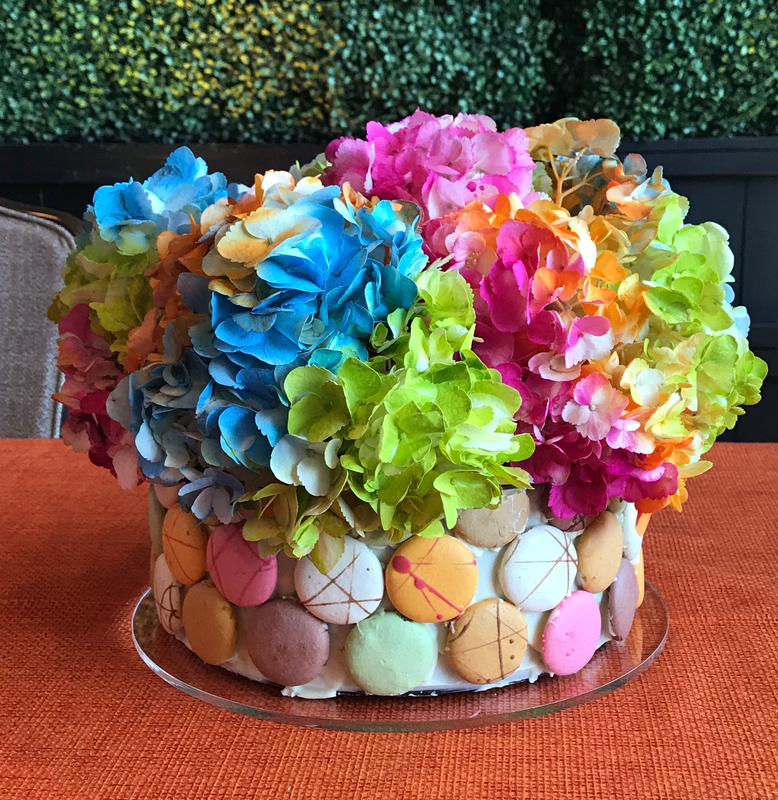 Hand-dyed hydrangea placed in vases of white chocolate and colorful macaroon cookies highlighted the decor. 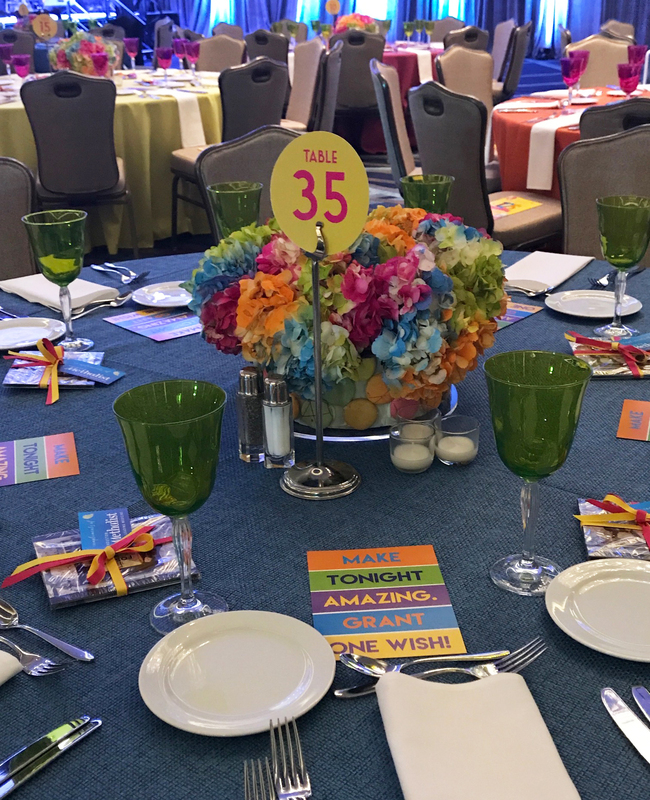 To add a pop of color to the tablescape, Swift + Company’s Zania pink and green glassware were used, along with custom table numbers to match the theme of the event. 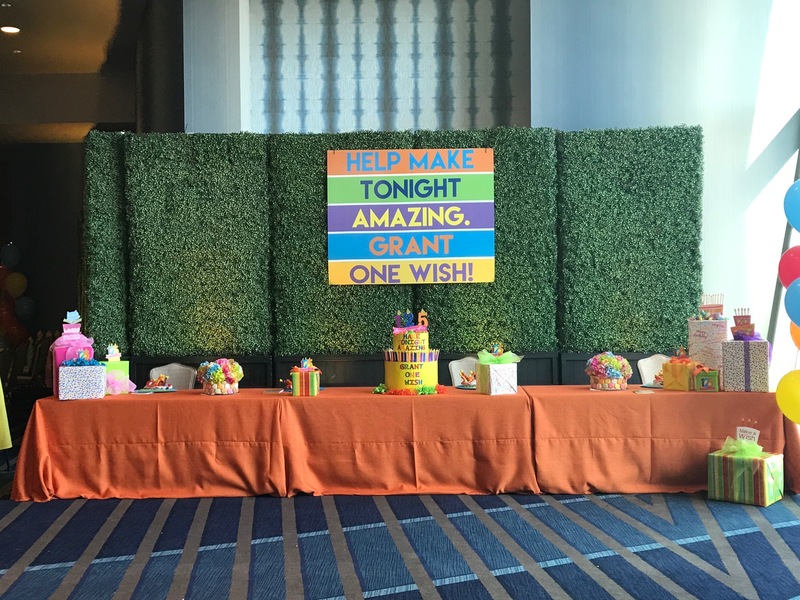 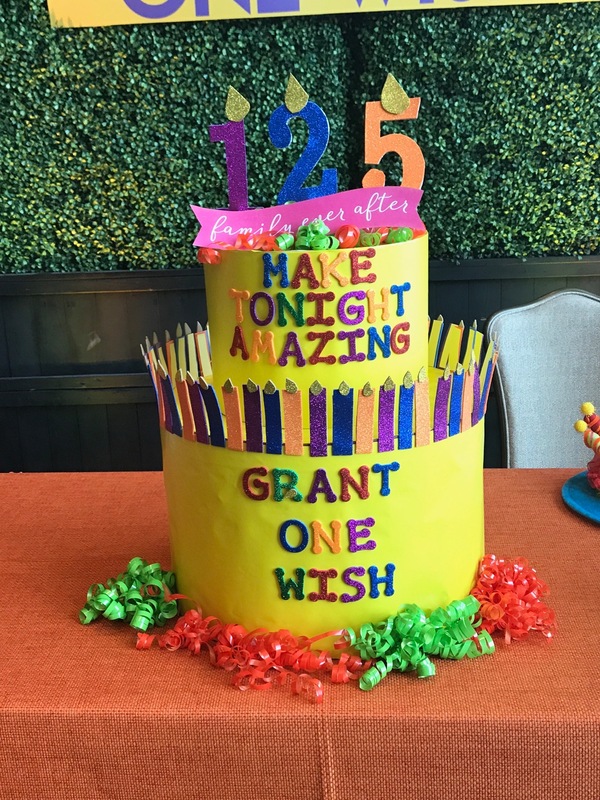 Swift + Company was honored to have been part of such an incredible celebration!